Unplugged is back this year to perform at the CulturalFest Performance Showcase on February 2. Learn more about this band and their fusion sound. How did your group begin? Unplugged was formed in 2015 by seven freshmen with a love for blending eastern and western styles of music. When the founders arrived here, they found that there were no music groups on campus that brought together different styles of music instrumentally and vocally. So they decided, why not create our own? Since our inception, Unplugged has performed fusion music extensively in the UW community from W-Day at the Alaska Airlines Pavilion, to Desi Dhamaka and FIUTS CulturalFest in Meany Hall. We are now a group of 14 that includes a wide range of talented instrumentalists and vocalists from diverse musical backgrounds. We strive to bring unity to the community through the universal language: Music. What is the significance of your performance in connecting you/your group to your own culture? Many of us in Unplugged grew up in immigrant families or are immigrants ourselves. The cultures, mothertongues, and traditions passed down by our families are rooted deeply in our souls and lives, just as they are for many others in the United States of America. Many of us have fought racism and discrimination in the effort to keep our cultures alive, and we seek to share these cultures and learn about others. Through our fusion pieces, we proudly present our own fusion identities created by the beautiful unity of traditions from the East and the West. We hope that by presenting this unity in music and ourselves as performers, we can together build a present and future of understanding and appreciation of all people. What has performing in past CulturalFests meant to you? What can the audience expect to be different this year? It is an absolute honor to perform at such an esteemed celebration of culture for the second year in a row. It was truly a validation of how far we have come as a group, and it's incredible to be a part of a community that values each other so wholly. The acts become more and more incredible every year, and we are always impressed by the hard work, passion, and displays of culture of everyone involved. 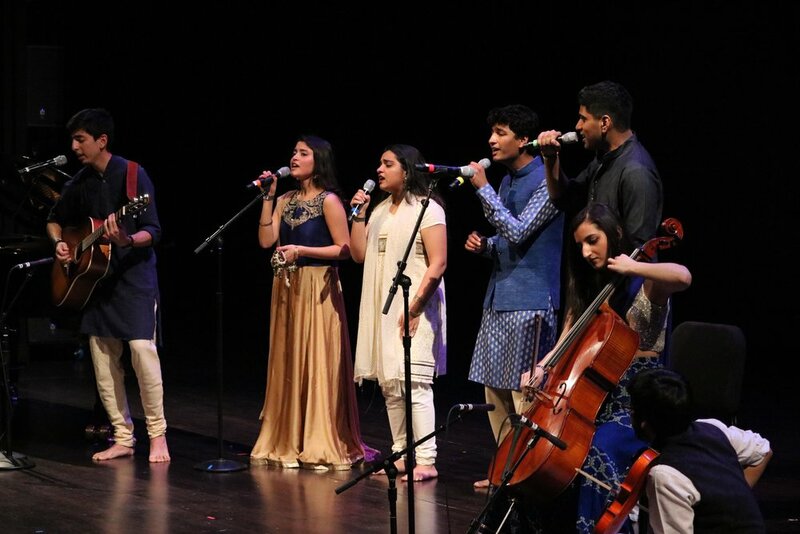 Being able to share our love of fusion music with the FIUTS community again this year inspired us to take our music a step further than the traditional Indian classical style. This year, we venture into fusion Jazz and more modern North and South Indian styles, with a dash of European pop. Is there anything else you would like people to know about your performance? There are subtle touches, especially in our instrumental parts, that will reflect our various classical and modern influences. Listen closely, and the music will hint to where the piece is going next. You'll be in for some fun surprises! Learn more about Unplugged on Facebook, YouTube, and Instagram, and come see their performance on February 2!